A New Jersey culinary arts college recently awarded forty new chefs and certificate graduates at their graduation in December. The Atlantic Cape Community College’s culinary arts college held its graduation ceremonies at the Walter Edge Theater at its Mays Landing location. The culinary arts college trains future chefs in the foundational concepts of nutrition and cooking and advanced coursework provides insight into the world of culinary arts. 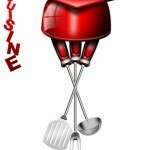 According to the cooking school’s website, the culinary arts program at Atlantic Cape Community College is administered by teachers who are themselves accomplished chefs. Twenty-five graduates of the program received certificates and medals from the culinary arts school for general studies, while 12 others were awarded honors for completing specialized training in one of the school’s certificate programs. This culinary school is the biggest in Jew Jersey, teaching more students than any other institution in the state in a variety of culinary art arenas. The school prepared students to become a culinary artist (chef), a food service manager at a restaurant or other facility, or students may specialize in pastry and baking courses. Like many other culinary art colleges, students can complete a full-on degree program to gain a master’s degree in the culinary arts or simply attend certificate courses through a series of classes at the school. (This takes less than a year at many culinary art schools.) Their specialized certificate programs include hot foods, baking and pastry, foodservice management, and catering. At the graduation ceremony in December, gold, silver, and bronze medals were given based on the student’s overall GPA upon graduation. A certificated of completion was awarded to specialized graduates from the culinary arts program. The cooking school’s valedictorians, Jennifer keeper and Stacy Wu from Margate and Egg Hardbor Township, respectively, were awarded with a Nathan Schwartz Award for top students in the graduating class.